Zurich, January 21, 2013: In an unusual move, it has been learned by Filming for Tibet that filmmaker and political prisoner Dhondup Wangchen has been transferred from Xichuan labour camp to Qinghai Provincial Women’s Prison, the main prison for women in China’s Qinghai province . Following a visit to Dhondup Wangchen by close family members on January 15, 2013, Dhondup Wangchen spoke of previous harsh treatment at Xichuan labour camp, including several months of solitary confinement that started in March 2012. Although being held in improved conditions, Dhondup Wangchen and his family are unaware of the reasons for his transfer, particularly to a women’s prison with no other Tibetan inmates or political prisoners. “Although we are relieved to hear that Dhondup Wangchen is in stable health, we share Dhondup Wangchen’s own concerns as he says he feels isolated and alone in this prison,” said Gyaljong Tsetrin, cousin of Dhondup Wangchen and President of “Filming for Tibet”. 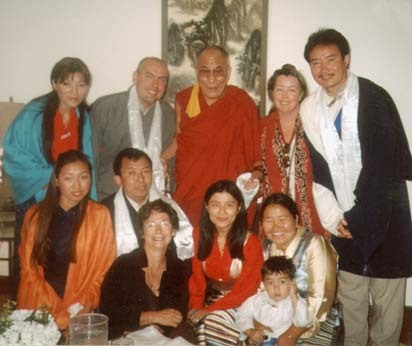 “There is still well over a year until Dhondup Wangchen will have served his 6 year sentence for making ‘Leaving Fear Behind’, it is our wish that in this time Dhondup Wangchen suffer no maltreatment and be granted access to books so that he can study, something he has repeatedly requested but has been forbidden from doing,” continued Tsetrin. Around the world, individuals and groups have built a growing coalition for Dhondup Wangchen. In 2012, US based Committee to Protect Journalists awarded Dhondup Wangchen for his work and groups such as Amnesty International intensified campaign efforts. In the past, many Tibetan prisoners have been maltreated before release which leads to severe health problems. 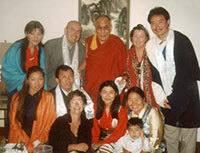 Dhondup Wangchen’s family hopes international awareness will prevent such problems and lead to his secure release. 1. The details of the prison are Qinghai Provincial Women’s Prison: 青海省女子监狱：青海省西宁市城中区南山路40号，邮政编码 810000. The photo below shows the location on Google Earth.